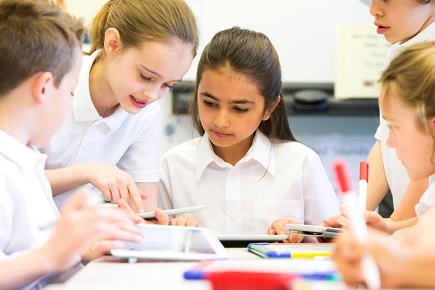 A new report has revealed that the difference between children’s career aspirations from age seven to 17 are marginal, and too often based on gender stereotypes and socio-economic backgrounds, and influenced by TV, film and radio. The Drawing the Future report was released by Education and Employers, a UK based charity created in 2009 which aims to provide young people with the inspiration, motivation, knowledge, skills and opportunities they need to help them achieve their potential. The data is based off an international survey of over 20,000 young people aged 7-11 years of age and will be presented to economic and business leaders from around the world at the World Economic Forum (WEF) in Davos this Thursday. In all countries in the organisation’s sample, Maths or Science was in the top two favourite subjects among children (for girls and boys), apart from children in Australia and China. The most popular careers for Australian students were highly concentrated into a few occupations, reflecting a combination of celebrity focus (sportsman/woman, at 32%), highly visible public service careers (teacher/lecturer at 21%, police at 12%), health (vet, at 8%) and modern growth drivers (scientist, at 5%). Seventy-eight percent of respondents selected one of these five careers. The study found that there were some shared interests by gender in the most common career aspirations. For instance three appear in the top five both genders (sportsman/woman; teacher/lecturer; police). However, there are sharply different emphases among those common aspirations, with over a third of boys opting for sports and over a quarter of girls choosing teaching, each around three times or more popular than it is for the other gender. Other traditionally-observed gendered preferences can be seen, with hairdressing and beauty therapist appearing for girls, and driver/mechanic appearing for boys. One organisation – Inspiring the Future Australia – is helping schools pair industry volunteers to students who are interested in a particular career. Inspiring the Future Australia director, Adrian Rhodes, said that since launching in Australia in April 2017, more than 500 volunteers have become available for schools to use – free of charge. Rhodes said that through utilising the “largely untapped” power of extensive parent networks, schools can match experienced volunteers – including prominent industry executives – with students who need help in certain subject areas. “We want not only careers advisors but also subject teachers to use this portal, because they’re the ones who need to make these subjects relevant to kids. They can see how what they’re learning at school is applied in the workforce,” Rhodes told The Educator. Are HSC league tables doing more harm than good?